It's a mark of just how far the animal rights movement has come that the lowly cockroach, scourge of the apartment dweller, arouses sympathy. 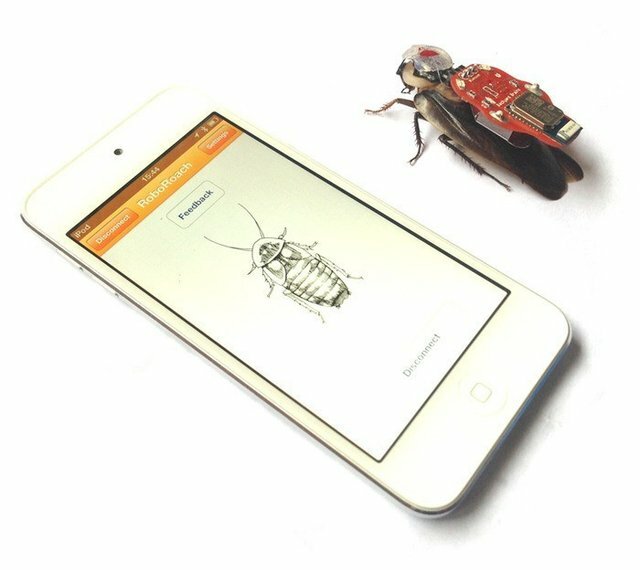 The RoboRoach, which began on Kickstarter, is an app and a kit that transforms bugs into cyborgs. By replacing a cockroach's antenna with electrodes and then gluing a small circuit board to the cockroach's back, anyone can control a living animal like a remote-controlled car. RoboRoach went live for Android and iOS late last year, and the project has been dogged with controversy since it was announced. PETA protested the project by citing studies that show cockroaches are intelligent, experience pain and live in highly social communities. And today, they announced that Android and Apple have dropped the apps. RoboRoach says this app is "not a toy," and is designed to teach students about neuroscience and engineering. But the response from both animal rights activists and, now, from tech companies shows that the project crossed a line -- and that abuse to even cockroaches won't be tolerated.